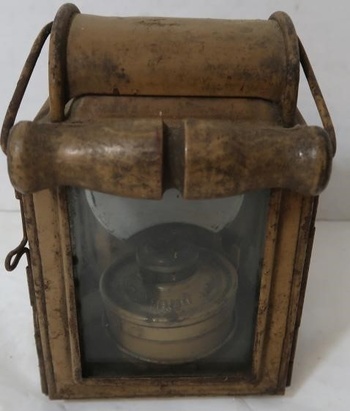 Can someone please tell me what type of lantern this is. I would like to purchase it, but don't really know anything about it. Was it used by a conductor on a train? The groove in the handle would have made it hang straight, when hung on a hook, but still be comfortable to carry by the handle.